This section contains texture-related settings. Minimum resolution of all textures. Maximum resolution of all textures. The engine doesn't compress existing textures: it uses specified mipmaps of *.dds textures. Filtering type to be applied to texture mipmaps: bilinear or trilinear. 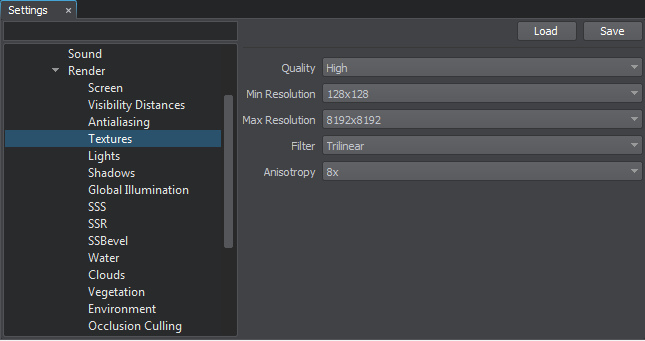 Degree of anisotropic filtering (from 2x to 16x) for textures or disable anisotropic filtering.